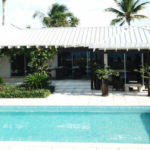 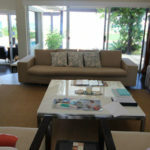 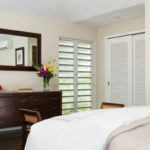 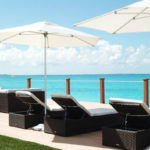 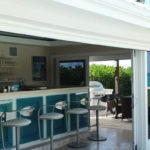 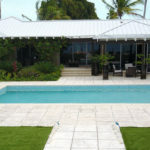 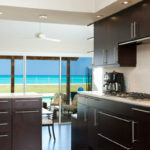 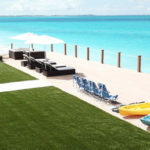 Located directly on Grace Bay Beach – Sunsara is one of the finest villas for sale in Turks and Caicos. 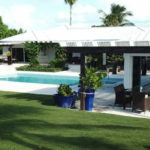 This 4-bedroom, 4.5-bath masterpiece offers 4,000 square feet of living space and is also one of the most desirable rental villas on Grace Bay. 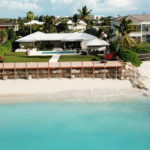 Its premium location on Tranquility Lane, amongst some of the islands elite properties, within the gates of the highly desired Leeward community and its pristine position on the most desirable stretch of Grace Bay Beach make this lifestyle investment more than lucrative. 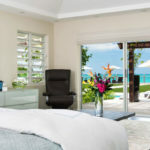 Sunsara Villa’s well appointed interior, recently upgraded with all new Sonos Home audio equipment, leaves you breathless with a vibrant Modern Caribbean motif. 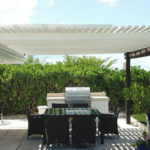 Spacious ample living and dining areas and a gourmet kitchen enhance the interior while a cozy outdoor entertainment pavilion delivers an extraordinary indoor/outdoor tropical experience. 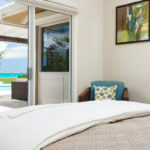 A grand 100′ x 20′ private beach front lounging deck with fire pit gives you the best seat in the house for idyllic ocean views and incredible TCI sunsets or you can chose to stroll for miles on the number one beach in the World. 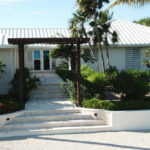 Don’t miss this rare opportunity to make Sunsara a smart investment in your family’s legacy.